A petition has been launched calling for a new multi-storey car park with at least 1500 spaces to be built at Croy Station. A major project to increase provision at the station took place in 2011 which, according to Scotrail, means there are now some 940 spaces available. Despite this, it is still becoming increasingly difficult for rail passengers to get parked. 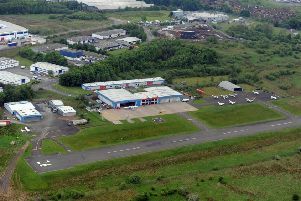 Cameron Swan, who launched the petition, said: “If you are travelling to Edinburgh or Glasgow via Croy you will not be able to get a space in the car park anytime after 9am. “After this time cars are abandoned on grass verges and in surrounding residency estates, this needs to change. “North Lanarkshire Council should build a car park that can accommodate the foot-fall that passes through Croy station every single day and this petition is designed to put pressure on them to do so. Last year Cumbernauld and Kilsyth MSP Jamie Hepburn also called for a multi-storey to be created at Croy. He said: “The petition is symptomatic of the frustration that many commuters and local residents are facing due to parking capacity issues at Croy. 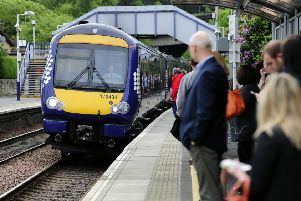 “The Scottish Government provided a significant amount of funding some years ago for the provision of the newer car park that is in place, but it has become a victim of its own success as more and more people are attracted to utilising rail as a method of travel, which is of course welcome. “If we are to encourage more people still to use the train then we need to continue to improve the offering, and for Croy that means an increase in the availability of car parking spaces. A multi-storey on the existing site isn’t a likely option due to the new housing immediately adjacent to the car park. Stakeholders are understood to be pursuing other options to increase parking capacity at the station. The News & Chronicle has asked SPT what these new options are, but had not received a response by the time we went to press. If you would like to sign Cameron’s petition visit www.change.org and search for ‘Croy Station’.